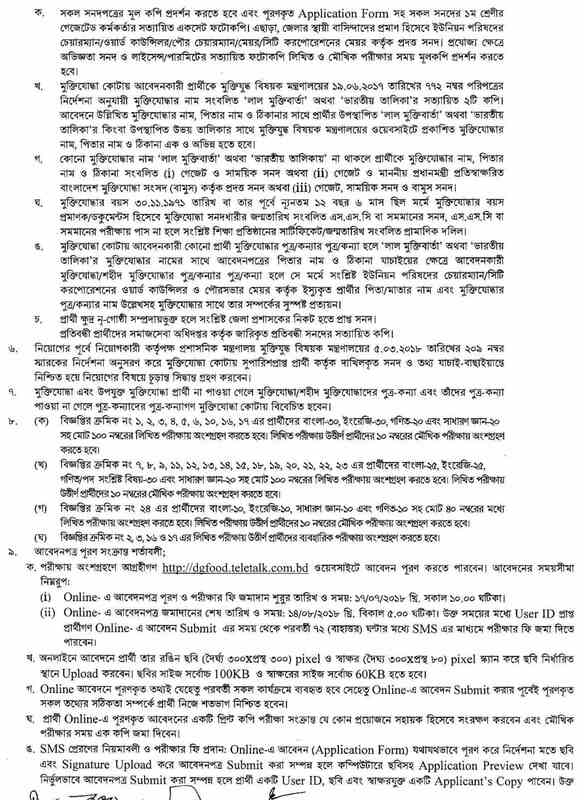 Home চাকরি খাদ্য অধিদফতরের নিয়োগের প্রতি পদের জন্য লড়বে ১২শ’ জন !! 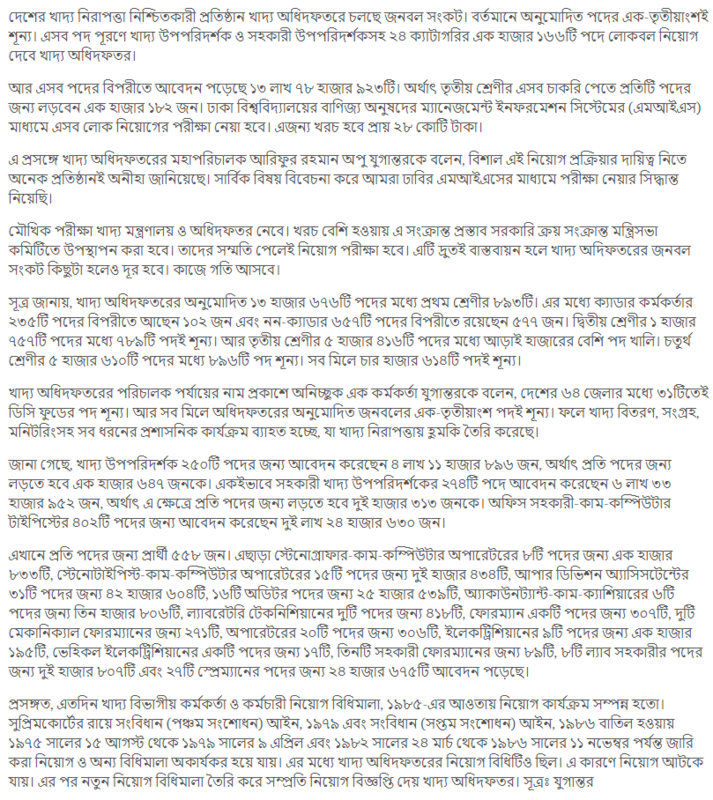 খাদ্য অধিদফতরের নিয়োগের প্রতি পদের জন্য লড়বে ১২শ’ জন !! 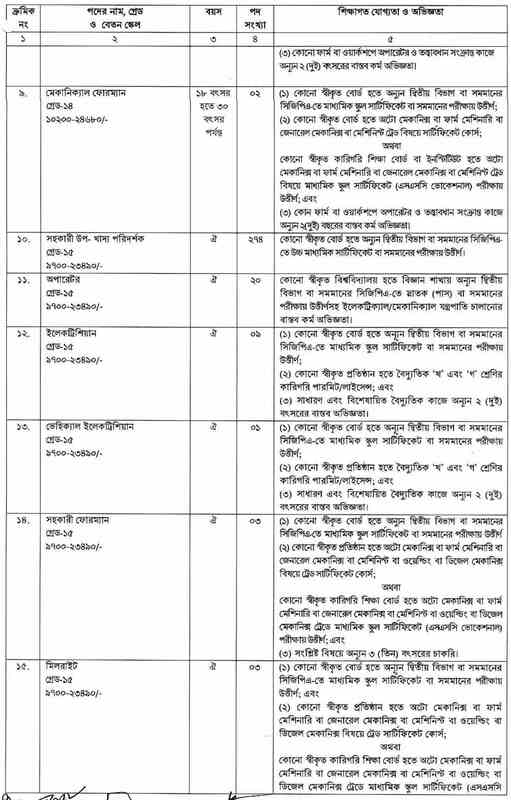 Many people find government jobs such as Ministry of Food jobs. 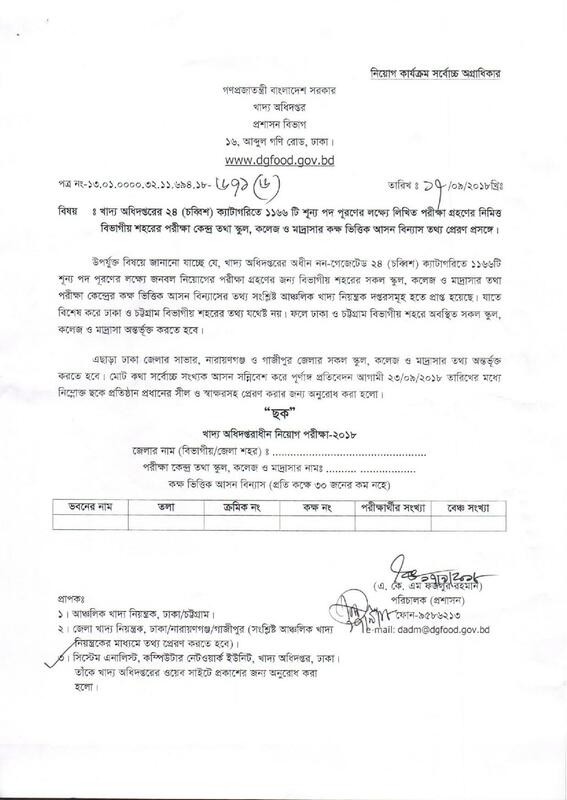 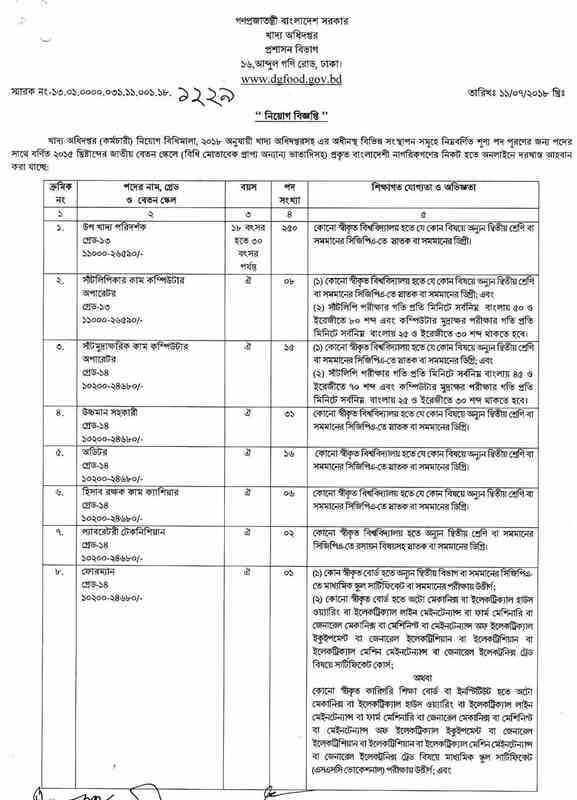 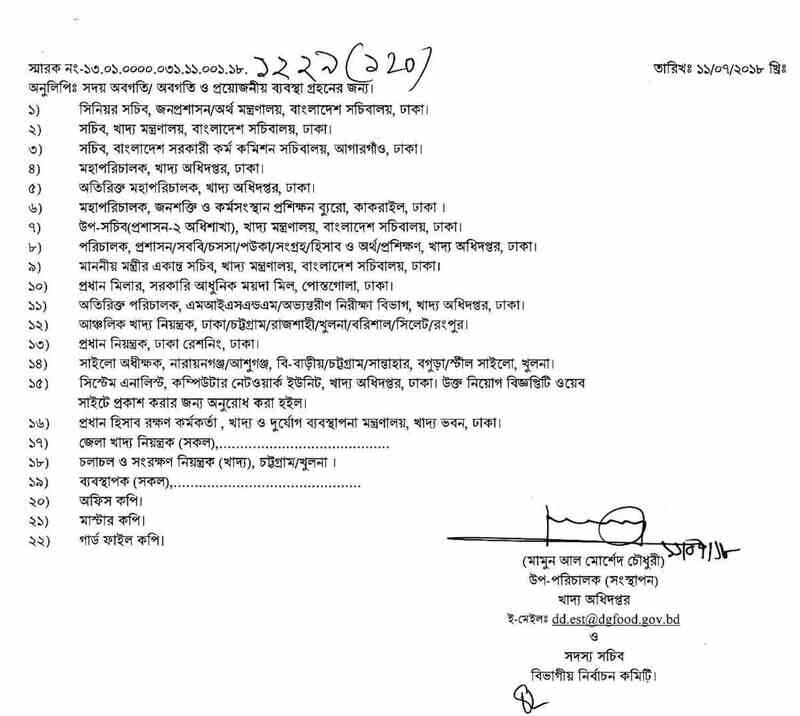 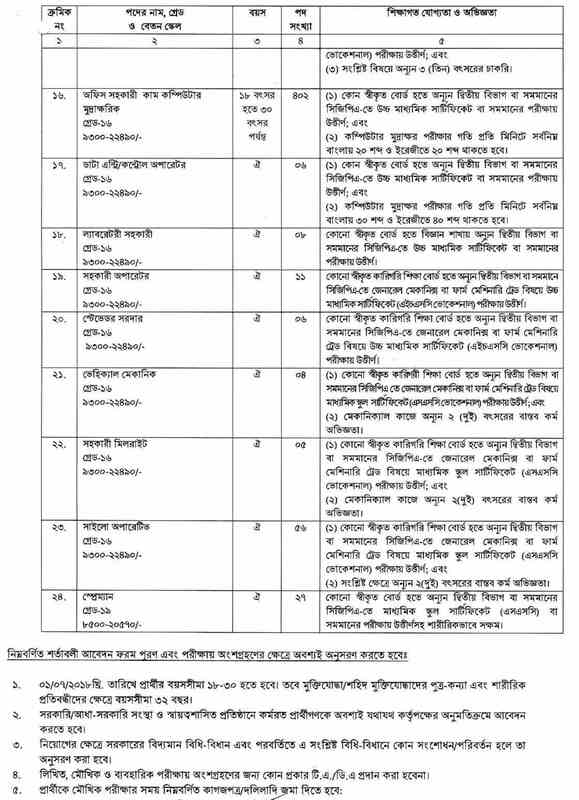 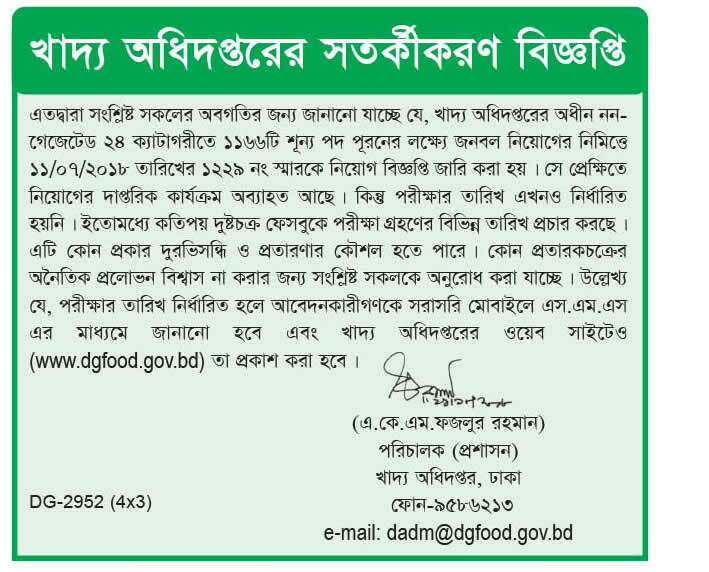 Now Ministry of Food published new jobs circular. 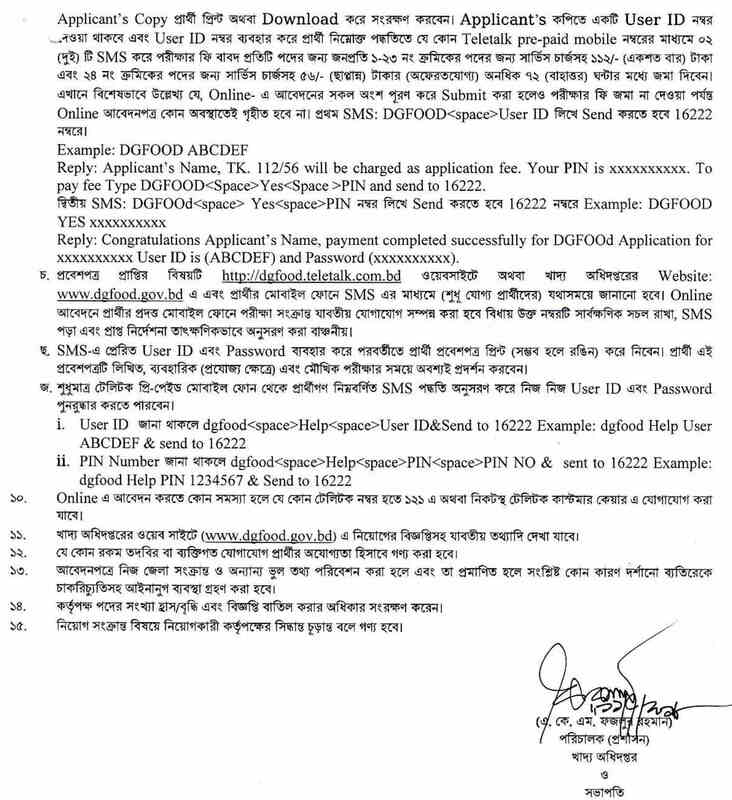 Before apply Ministry of Food job through Online keep below this short Information. 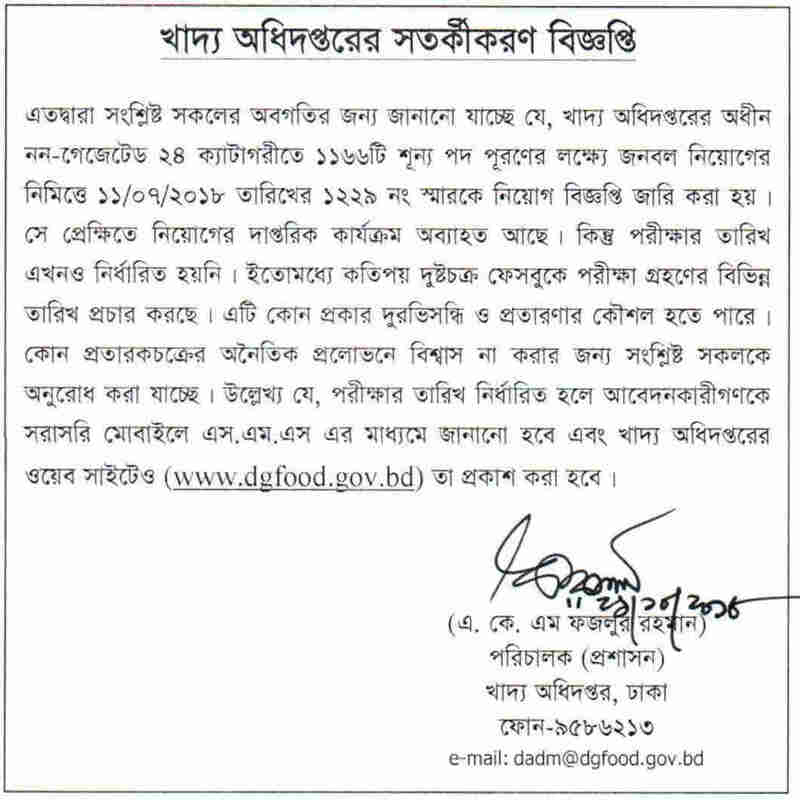 Are you ready for apply this Ministry of Food job circular using your Online dgfood.gov.bd. 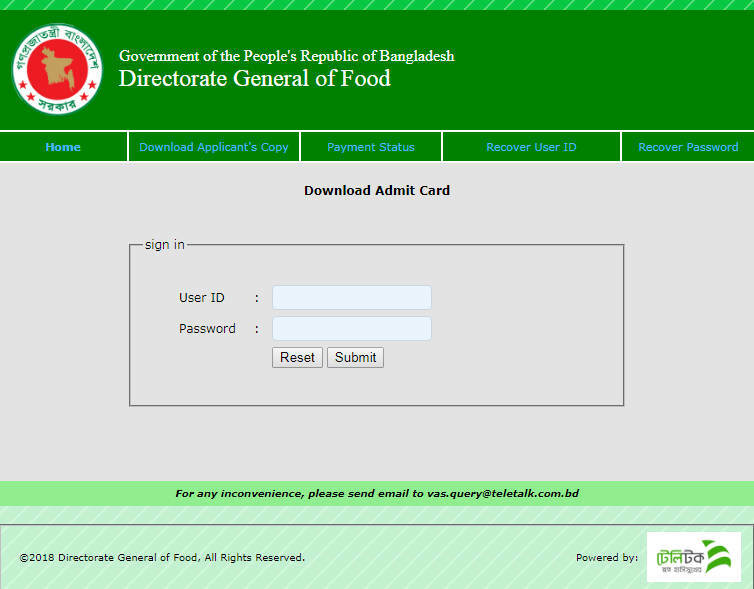 Let`s follow this instruction and complete your Ministry of Food Online application registration.